How Often Should I Do Strength Training? You can get best results of weight training with three days a week, with two as a minimum and four as a maximum. According to different studies on the science of strength training – its volume, mainly frequency, that defines the results. if you are pressed against time and not preparing for a competition, you can build an impressive physique without spending a lot of time in the gym. The American College of Sports Medicine recommends that you should train each muscle group as a set (arms, chest, shoulders and legs) two or three times per week at light intensity if you’re a senior or just starting out. If you’re more familiar with resistance training and have been doing it for a while, three to four days a week is recommended for a total body workout. A 2016 study in the International Journal of Exercise Science compared subjects doing a body-part split (chest, shoulders, and triceps one day, back and biceps the next, then legs) to a group that followed full-body workouts. The body-part guys did nine sets per muscle group once per week while the full-body team trained each area three times per week with three sets each—so the total training volume was the same. After eight weeks, the muscle and strength gain the two groups made were roughly equivalent. You don’t need to crush a muscle with a long, gruelling workout to make it grow. For e.g. on a leg day, after you’re done squatting, you may not be able to do Romanian deadlifts or lunges with greater intensity. You’re more likely to coast with lighter weights. If you are tight on time, try to train your whole body each workout, in that case you don’t need multiple workouts. You can limit your workout to 2 days/week. in a total-body workout, you’re relatively fresh for each exercise. 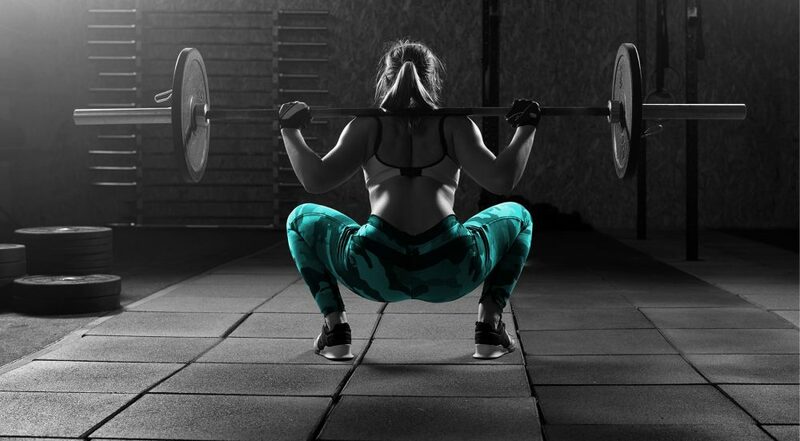 Heavy squatting won’t do much to impair your pressing, so you can give each muscle group a full stimulus. Train harder at each session, as most people tend to recover faster from full body workouts. Train Each Movement During Each Workout. Focus on movements, not muscles. You want to press and pull both horizontally (bench or row) and vertically (pull up or military press). For your legs, make sure to squat, deadlift, and train single-leg exercises. Switch your routine every 3-4 weeks. Your body will adapt to certain programs or exercises over time, so make sure to make your workouts progressively harder by doing different exercise variations, changing the sets and reps, and decreasing your rest time. If you are training for a sport or are trying to make some serious changes to your physique, training 4 times a week might be the way to go. Again, it’s not necessary to get amazing results from your workout routine. Choose between Full-Body Workouts or Split Body Parts. When you train 4 days a week you can still train full-body each day, but if you are training to improve strength go for an upper/lower body split. This means you will train upper/lower/upper/lower throughout the week. Train Each Movement 1x/Week. Focus on a specific movement pattern and choose 2-3 exercises that train that movement. Try Not to Train More Than 2 Days in A Row. That is, it’s ok to train 2 days in a row, but not more than that. Doing too many consecutive lifting sessions could affect your performance and increase your risk of injury. Rest is a critical component of improving your strength, fitness, and body composition. It’s during rest that your body rebuilds and repairs your muscle tissue, so it’s always a good idea to take rest days to ensure proper recovery. This will allow you to keep training heavy week in and week out. Reduce load Every 4-6 Weeks. That doesn’t mean not lifting at all, just lightening it up a bit. You can either decrease the number of sets you do, the amount of weight used, or even skip a few workouts during this week to allow your body to recover more fully and repair damaged tissue. Believe it or not, this will help your progress. Set Personal goals or seek help of a professional to gain desired results.